For a great year round sunshine record, excellent value for money, great water sports, excellent choice of regional flights and a huge range of quality hotels there is nowhere better than a holiday in Sharm el Sheikh. It has grown quickly from a sleepy fishing village into a world class international resort. There is plenty of activities to enjoy from scuba diving in the beautiful Red Sea to go-karting in the desert. Sharm was once a sleepy fishing town and was discovered by divers who would stay in a small number of hotels and enjoy the reefs during the day. Holidays in Sharm are now very popular with all ages and have something for everyone. There are plenty of activities in the area to keep you busy including snorkelling, desert safaris and trips to Mount Sinai. Sharm el Sheikh has a huge choice of hotels from small and basic to large and luxurious. Some of the larger resort style hotels have numerous swimming pools and aqua parks as well as numerous restaurants including a choice of a la carte options. Many hotels are situated directly on the seafront with private beaches some of which offer direct access to the many off shore reefs, home to an abundance of bright and colourful fish and other sea creatures, guest can usually hire scuba equipment or don a snorkel and mask and see this mesmerising underwater world at close hand. Naama Bay has a lovely sweeping beach that is backed by hotels and waterfront bars overing breathtaking views over the beautiful Red Sea. The public beaches here have a wide choice of sunbeds and offer direct access to the sea. Boat trips are a popular way to enjoy a day out and there are an abundance of them on offer in the resort. Visit ship wrecks or large reefs and if you are lucky spot a dolphin or two! Many of the hotels in Sharm are all inclusive and some are operated by international chains such as Hilton and Marriott, but away from the hotels there are a wide choice of restaurants in the main resort area of Naama Bay as well as plenty of bars and discos to enjoy a lively night out if you are a nightowl. Naama Bay also has a good choice of shopping malls and there are international restaurants and fast food outlets as well as a bank. The resort area of Sharks Bay has a lovely modern centre known as Soho Square where you will find a number of designer shops and craft stalls as well as a small selection of cafes and bars. 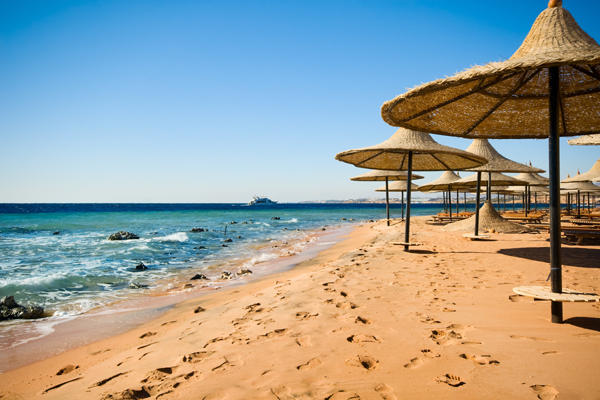 Sharm el Sheikh is perfect at anytime of the year for a sunshine holiday, it offers a great place to sunbathe and most of all relax as much as you want. 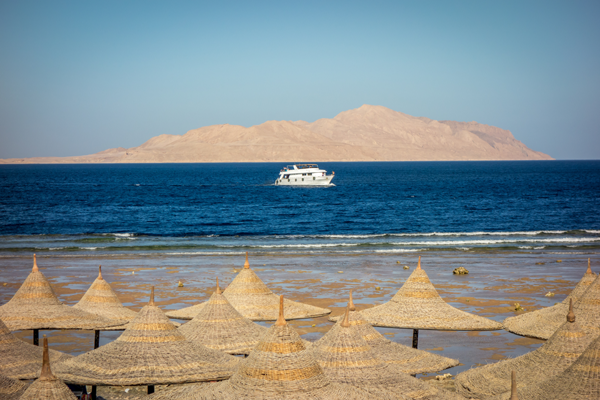 Many of our customers at JLM Travel enjoy Sharm holidays on a regular basis thanks to the numerous flight options now available from UK airports all year round. So if you fancy a holiday in this beautiful Red Sea paradise have a browse around our site or call us and speak to one of our friendly team today. Call us on 0800 091 2855 for the best deals in Sharm El Sheikh today!